Autism can severely affect the way a person grows mentally and physically, and often provides adverse behavior and personality types. It can be difficult for a parent or family member to help raise and support an autistic person. It can be physically demanding, and mentally, emotionally, and even financially draining. People who raise and help to raise or interact with autistic people are often unable to interact with them in the same way they would interact with normal, everyday people. This is because the autistic brain works differently than the regular brain. 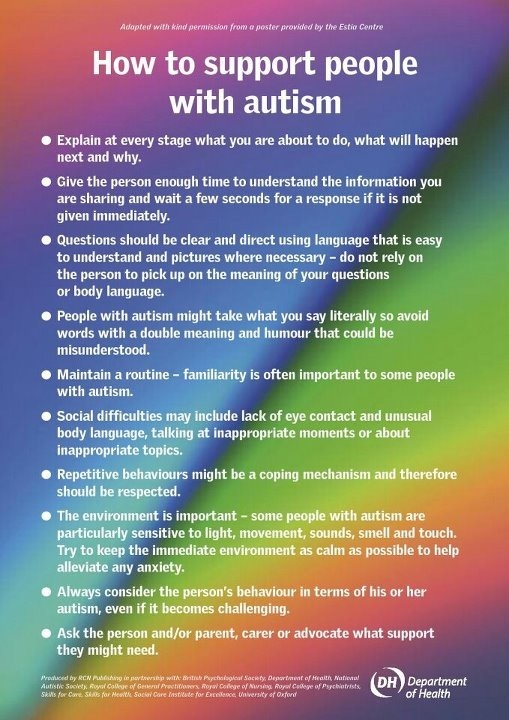 Outlined are a number of tips one can use when interacting with sufferers of autism to help enhance the experience for both parties. For example, one should always stick to a routine when dealing with autism. Autistic people often do not appreciate changes to their routine and can become extremely upset. Another example is to speak slowly and clearly, while always being extremely deliberate in your actions. Surprises can cause extreme emotional response from an autistic person.